Fifteen years after the Good Friday Agreement, the latter half of 2013 saw a new round of political negotiations in Northern Ireland, in which local politicians grappled with the legacy of the past. These negotiations were launched following growing concerns over the security situation. 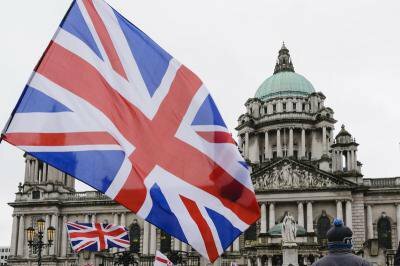 For example, the Belfast City Council decision in December 2012 to fly the Union Flag at City Hall only on designated days (rather than every day) triggered repeated civil unrest by Loyalist communities across Northern Ireland. Furthermore, threats posed mostly by dissident Republicans resulted in the Army’s bomb disposal team being called to an average of more than one security alert per day during 2013. 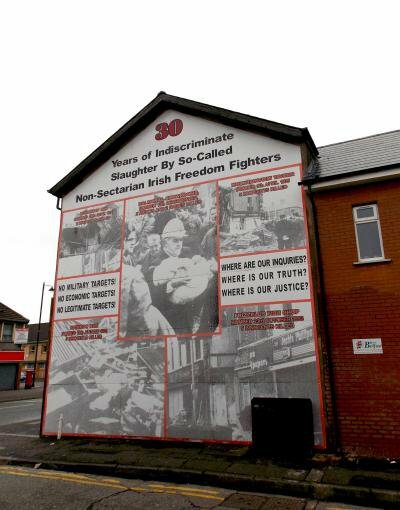 Many in Northern Irish society linked these ongoing threats to unresolved issues from the peace process. There was also growing dissatisfaction with existing mechanisms to address the past. For example, a damning report by Her Majesty’s Inspectorate of Constabulary on the Historical Enquiries Team (a body established by the Police Service of Northern Ireland to investigate all conflict-related deaths) had raised serious questions over whether the institution was fit for purpose. In this context, the Northern Irish political parties tasked themselves with reaching an agreement on parades, flags and dealing with the past. This was the first time such an initiative had been led by local actors. The negotiations, known formally as the Panel of the Parties of the Northern Ireland Executive, or more colloquially as the Haass-O’Sullivan talks after the negotiation chairs (Richard Haass and Meghan O’Sullivan), lasted from July to December 2013. The parties made significant progress in several areas, but were unable to reach a consensus on all aspects by the agreed deadline of 31 December 2013. Following the deadline, the last draft of the proposed agreement was published. Throughout the draft agreement, a number of underpinning assumptions are articulated to justify the proposed recommendations. In brief, these assumptions are that Northern Irish society remains divided, fifteen years after the Belfast/Good Friday Agreement and that these divisions are contributing to political instability and civil unrest. The promises made in our peace agreements have not been fully delivered and members of society are still “struggling” with needs resulting from the conflict. Failure to act will increase levels of public disengagement with political institutions and processes. Finally, the passage of time adds urgency to these proposals, particularly since many persons with knowledge of past crimes have already died. In addressing parading, the draft agreement was careful to recognise that this is an important cultural and historical tradition for many in Northern Irish society. It also situated its proposals squarely within the framework of international human rights law. In doing so, it suggested that the guarantees for freedom of expression and assembly under the European Convention on Human Rights must be balanced against freedom from sectarian harassment and right to respect for private and family life for those who oppose a parade. The Panel’s proposals called for new Northern Irish legislation to establish a Code of Conduct and create two new institutions. 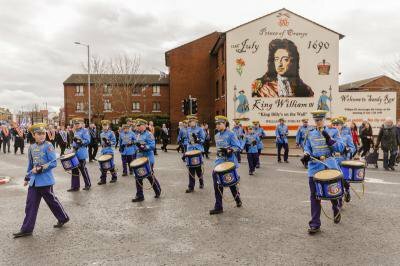 The first institution, the Office for Parades, Select Commemorations and Related Protests, would receive all event notifications for parades and would seek to streamline approval for non-contentious events. If disputes arose, the Office could facilitate dialogue between event organisers and local communities, and if necessary, refer the parties to outside mediators. Where mediation efforts are unsuccessful, the Office would refer contentious parades to the second institution, the Authority for Public Events Adjudication. This body would be headed by a lawyer and composed of other members of the community. It would be tasked with hearing representations from interested parties and adjudicating based on human rights standards and transparent criteria. It would be able to order that events be changed or cancelled. Its decisions would be subject to judicial review. 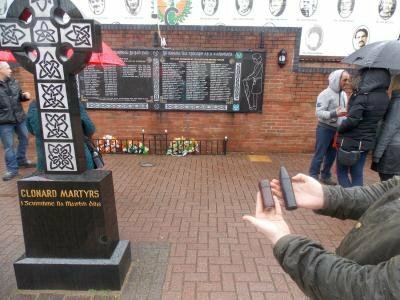 The proposed Code of Conduct for parades would require participants to abide by decisions of the Authority and the rule of law, to refrain from wearing paramilitary clothing, to respect the rights of others, and to demonstrate sensitivity at interface areas, places of worship, war memorials, and cemeteries. The negotiators identified two discrete issues under this theme: the flying of flags on official buildings and the unofficial display of flags and emblems in public spaces. They were unable to reach consensus on either issue. The draft agreement suggests this is due to the relationship of flags and emblems to broader ideas of sovereignty and identity that were beyond the Terms of Reference of the talks. On this basis, the draft agreement proposed the creation of a Commission on Identity, Culture, and Tradition. The goal of this body would be to increase the understanding among citizens of the appropriateness and importance of identities in Northern Irish society by holding public and televised discussions across Northern Ireland on issues related to identity, culture and tradition. The draft agreement proposed a number of issues that could be topics of discussion. This list included gender, which is the only place where gender is explicitly mentioned in the draft agreement. This is the most substantive part of the draft agreement and occupies almost half of the document. It contains a number of different issues that will each be dealt with below. The section begins by highlighting the leadership role that many victims and survivors have played in the Northern Ireland transition. It then notes that many of them continue to “suffer from physical disabilities, emotional trauma, social anxiety, and other concerns stemming from the conflict”. The draft agreement endorses the recommendations of the Commission for Victims and Survivors (CVS) for improving the Victims and Survivors Service. In addition, it calls for the CVS to establish or fund a Mental Trauma Service and consider the needs of the injured. This section concludes by noting that the parties could not reach agreement on who could be considered a “victim”. The draft agreement asserts that there is an enduring desire among victims and survivors for acknowledgements from individuals, paramilitary organisations and governments responsible for deaths, injuries and the loss of homes and businesses. It further contends that the absence of meaningful acknowledgement is undermining public trust in political leaders and the peace process. The drafters of the agreement were careful to note that all parties to the conflict were not equally responsible for the harms experienced by victims and survivors. The agreement further asserts that requiring both states and paramilitary organisations to acknowledge the suffering caused by their actions does mean that the blame for past violence is equally shared between these groups. The draft agreement then sets out some conditions for acceptable forms of acknowledgement, stating that it should be an unqualified acceptance of responsibility, express an understanding of the human consequences for individuals and society and include sincere expression of remorse. The draft agreement further encourages individuals, organisations and governments to work together on issuing acknowledgement statements “including by discussing language, timing, and other matters in private before public statements are made”. Finally, the agreement asserts a hope that statements of acknowledgement by public officials and the leaders of paramilitary organisations will encourage members of these institutions to participate in the information retrieval process (see below). In response to the challenges and criticisms faced by existing processes to investigate conflict-related deaths and historic complaints against the police, the draft agreement proposes that the work of the Historical Enquiries Team and the historical unit of the Office of the Police Ombudsmen would be replaced by a Historical Investigations Unit (HIU). Other existing processes to deal with the past (ie coroner’s inquests and the British and Irish governments’ discretion to establish public inquiries) would be unchanged. The HIU would be empowered to conduct thorough, Article 2-compliant reviews and investigations. These powers would enable it to be independent from the Police Service. It would initially focus its investigations on reviews that have not yet been completed by the HET or OPONI, but following this work, families could request that it reopen previously completed reviews where there are concerns that those investigations were flawed or where new evidence comes to light. In addition, the HIU will initially focus on conflict-related deaths, but once these reviews are completed and if resources permit, it may also review situations resulting in serious injury. In all cases, if sufficient evidence is found, the HIU could refer a case to the Public Prosecution Service (PPS). The HIU would review all cases within its remit. Victims and survivors could decide whether to opt into this process. If they declined to opt in, they would not be notified of the progress or results of a case review, except where a case is referred to the PPS. If they opted in, they would be offered the services of an advocate-counsellor unconnected with any work on their file who could provide logistical guidance and emotional support through each stage of the process. Following the conclusion of the review, if the case was not referred to the PPS, they would receive “a report outlining the extent of information known about the case as it affected them”. The review process could also produce more general reports to be shared with persons who were injured in the same event should they wish to receive them. This section concludes by noting that “The passage of time and loss of evidence through decommissioning, decay, destruction of evidence, and other means will often mean that there is too little admissible evidence for the prosecutor to proceed with a trial”. It is due to these concerns that the draft agreement proposes a separate information recovery process. Victims and survivors could opt into the process (before, during or after review of their case by HIU), which would prompt the commission to liaise with its designated intermediaries within organisations and governments, “who will seek out individuals within their networks who may have information relevant to the request”. Individuals, current and former paramilitaries, members of political parties, NGOs, and current and former state employees with information about violent acts could approach the commission directly or through an intermediary. Unlike the HIU, the ICIR will be entirely separate from the criminal justice system. Where individuals provide information to the Commission, they would be offered “limited immunity”. This means that any statements that they provide would be inadmissible in criminal or civil court proceedings. This would apply to the person who provided the evidence as well as to any other individual identified in the information provided. However, this would not shield individuals from legal proceedings based on evidence coming to light from other sources. Individuals who provided testimony would also be given the opportunity to do so anonymously. The commission would question all persons providing information and will cross-check their testimony against other sources of evidence before issuing any reports. The Themes Unit would publish a report addressing all themes investigated and it would also report on the degree of cooperation with this process by governments and paramilitary organisations. To document the lived experiences of the conflict for persons across Northern Irish society, the draft agreement proposes that the NI Executive establish an “archive for conflict-related oral histories, documents, and other relevant materials from individuals of all backgrounds, from Northern Ireland and beyond, who wish to share their experiences connected with the conflict”. This archive would be independent from political interference. It would collate individual narratives but would not analyse them to establish a common narrative or “fact-check” individual testimonie. It would provide an online resource for historians, genealogists, writers and members of the public. There would be a “screening process” to make sure that inflammatory or irrelevant material is not accepted into the archive. Legislation would be adopted to protect individuals from self-incrimination or libel claims and individuals would have a choice over when their contributions became publicly available. The final stages of the draft agreement proposed that an Implementation and Reconciliation Group be created within six months of the parties endorsing the agreement. This group would be composed of politicians from parties in Executive, plus representatives of victims, NGOs and other parties. It would be empowered to monitor and advise the institutions set up under the agreement. Following the failure of the parties to reach a consensus by 31 December 2013, the negotiators continued to meet on a weekly basis and asserted their commitment to reaching an agreement. However, progress stalled in February 2014 when the revelation of the administrative process to review the evidence against individuals who were suspected of being “on-the-run” from criminal proceedings for conflict-related offences provoked a political crisis. This administrative process is now the subject of a judicial inquiry which is due to report after the May 2014 European Parliament and local government elections. It seems unlikely that progress will be made on the Haass-O’Sullivan proposals before the inquiry reports. However, given the pressures outlined at the start of this article, this process cannot be shelved indefinitely. Indeed, the recent political crises over the On-the-Runs makes clear how fundamental addressing the legacy of the past is for the legitimacy and stability of Northern Ireland’s political institutions.